Scott Oden's epic novel A Gathering of Ravens is "satisfying...complex...and a pleasure to read" (Publishers Weekly, starred review). 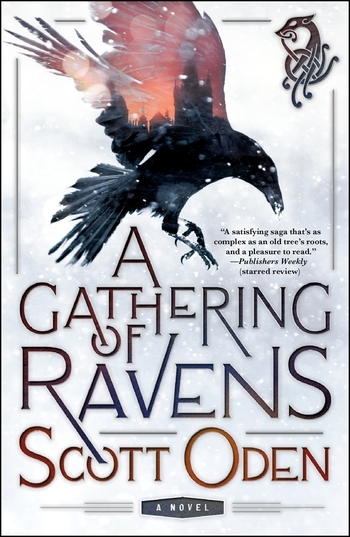 Scott Oden's A Gathering of Ravens is a novel of vengeance, faith, and the power of myth. SCOTT ODEN was born in Indiana, but has spent most of his life shuffling between his home in rural North Alabama, a Hobbit hole in Middle-earth, and some sketchy tavern in the Hyborian Age. He is an avid reader of fantasy and ancient history, a collector of swords, and a player of tabletop role-playing games. His previous books include Men of Bronze, Memnon, and The Lion of Cairo. When not writing, he can be found walking his two dogs or doting over his lovely wife, Shannon.